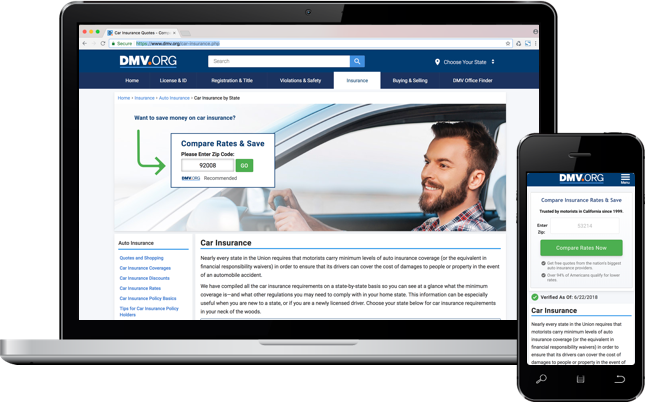 Partner with the most valuable resource for automotive research - driven by 85% organic reach that captures 80% of U.S drivers, DMV.ORG helps organize the driver experience across the spectrum of DMV and automotive- related information. Want to reach this highly valued audience? Learn more below and connect with a representative by clicking Submit Your Application. Submit the form below to touch base with one of our knowledgeable representatives or email us directly at sales@dmv.org. Thank you for submitting your application to us at DMV.ORG, . We will reach out to you at shortly. Reach our audience onsite with standard IAB and native ad placements in various sizes. If performance is your goal, work closer with our sales and optimization team on a guaranteed CPM reservation basis, and leverage our highly viewable, unique direct offerings only available through our sales team. Want to go a level deeper with your messaging? Work on a CPC or CPA basis? Take advantage of our unique partnership opportunities, where our team sits down to understand your goals and builds a custom integration and strategy that suits your needs. You’ll also enjoy a dedicated manager to help optimize that experience along the way. This offering is only available directly. 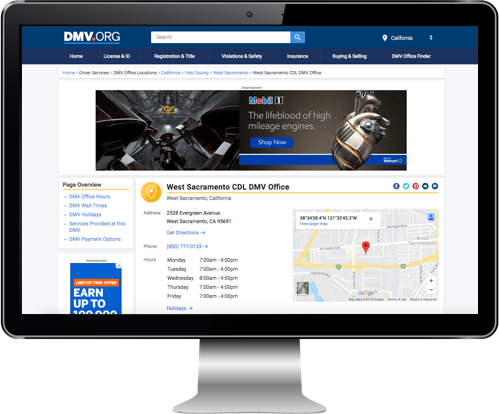 Contact us via our form above or directly at sales@dmv.org. 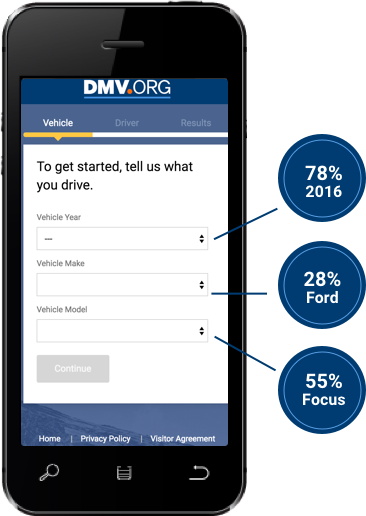 Leverage the power of DMV.ORG's automotive reach offsite and connect with our drivers where they matter to you. Our audience packages are made up of user-driven actions like inputting lead forms, completing our task wizards, searching for local services and new driver information, and more. You can purchase pre-built segment packages on a CPM basis in our Data Studio, or work with us directly to create a custom package that suits your performance needs. 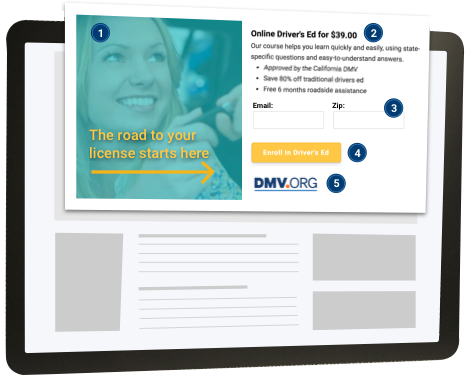 Explore our guidelines to learn more about DMV.ORG's advertising protocols. Reach the audience you've been waiting for–begin your journey with DMV.ORG.